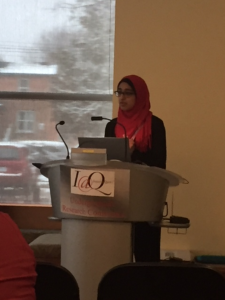 Earlier in March, Let’s Talk Period had the privilege to present at the 12th Annual Inquiry at Queen’s Undergraduate Research Conference (also known as I@Q). 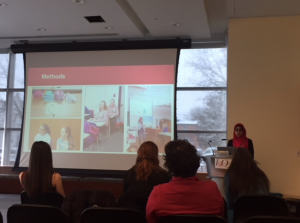 Let’s Talk Period volunteer and 2nd year Queen’s Life Science Student Lubnaa Hossenbaccus spoke as the Let’s Talk Period’s representative at the event. Lubnaa has been with the Let’s Talk Period team since 2016, and was instrumental in organizing the Outreach Program. Lubnaa submitted an abstract about Let’s Talk Period to I@Q. 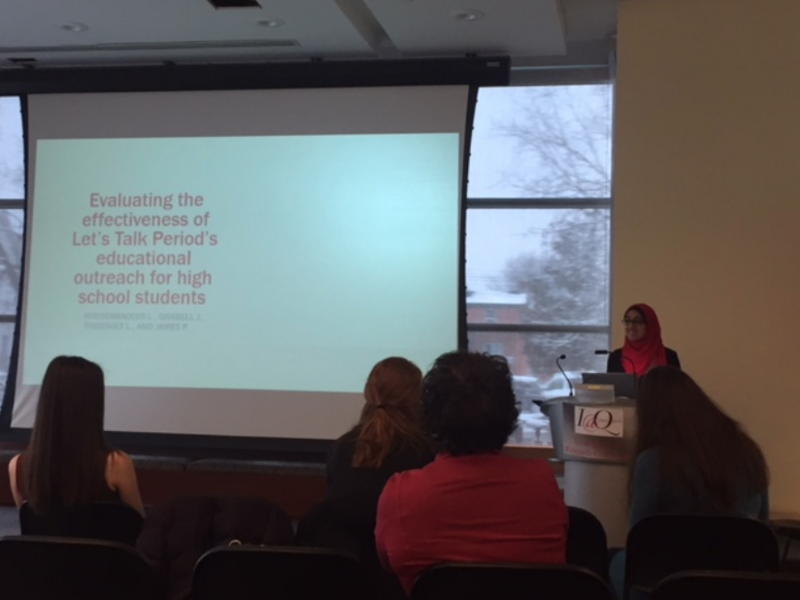 Her abstract was accepted into the conference, and she gave a presentation about the effectiveness and importance of Let’s Talk Period’s Outreach Program – especially in high schools. 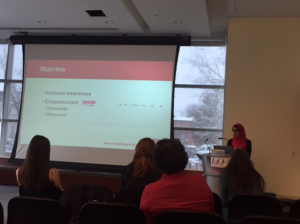 Her presentation featured a comprehensive background on Let’s Talk Period, our Outreach Program, and data that shows an increase in knowledge about topics covered in the classroom teaching sessions, such as defining iron deficiency and anemia, normal vs. abnormal periods, and the symptoms of inherited bleeding disorders. The audience was engaged and asked some great questions! Lubnaa was asked about whether we would consider expanding the Let’s Talk Period Outreach Program to younger audiences, and to boys as well. Let’s Talk Period is proud to make information about periods, bleeding disorders and the Self-BAT accessible to all. Let’s talk! To learn more about effective treatments or to continue the conversation, please get in touch with us by writing to us at the bottom of our website homepage. Join our communities on Facebook and Instagram to get regular information about bleeding disorders and help other women be empowered by this knowledge. 2018 – A Year in Review! 3 Frequently Asked Questions Before Taking the Self-BAT! Dr. Aileen Gray and Lucky Iron Fish!